As your eyes age, conditions like age-related farsightedness or presbyopia may start to affect your vision. If you already suffer from an eye-related condition or disease, finding eyewear to remedy multiple vision deficiencies can be a hassle. Progressive and bifocal lenses are a perfect eyewear solution for individuals with multiple prescriptions. 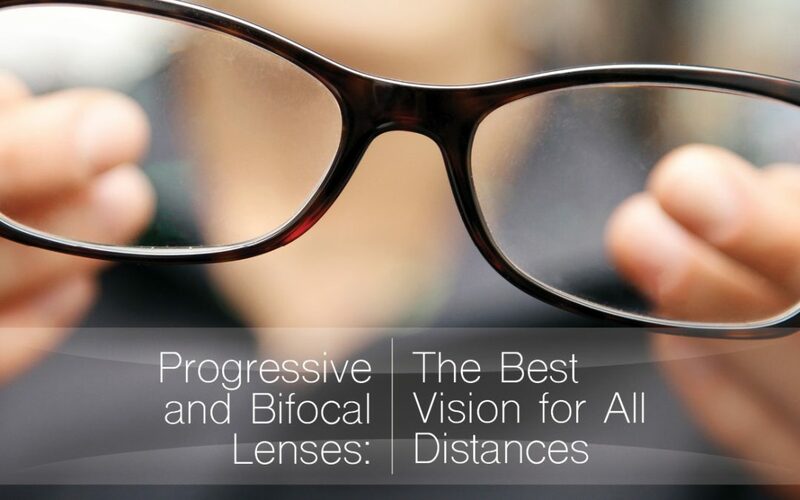 Progressive and bifocal lenses provide you a transition from near to far distance vision within one lens! Seeing your best at every distance is important for maintaining natural and comfortable vision and lifestyle. The age-related onset of conditions like presbyopia causes the primary need for progressive or bifocal lenses.